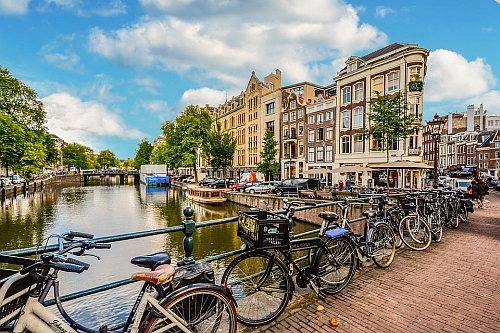 KLM is showing flights from Seattle to Amsterdam, Netherlands for $351 to $441 CAD roundtrip including taxes. The flights have 1 stop each way, usually in Portland. For longer trips, you can try mixing and matching dates from the list above. IMPORTANT: While Momondo is showing you the estimated price in $CAD, many of the booking sites showing these fares are in $USD. seattle, sea, europe, central europe, western europe, klm, amsterdam, ams and netherlands.